Skin pigmentation arises due to irregular deposition of melanin in the skin. The factors may be genetic or may be activated by external and more controllable circumstances. Melanin is deposited in the skin by melanocytes. The health of melanocytes is key to almost all pigmentation issues. In the case of sun spots, your skin over-produces melanin in order to help protect your skin from UV rays. This excess pigmentation may form dark spots on your skin, called sun spots. Reaction to chemical exposure and hormonal changes can also be initial triggers. 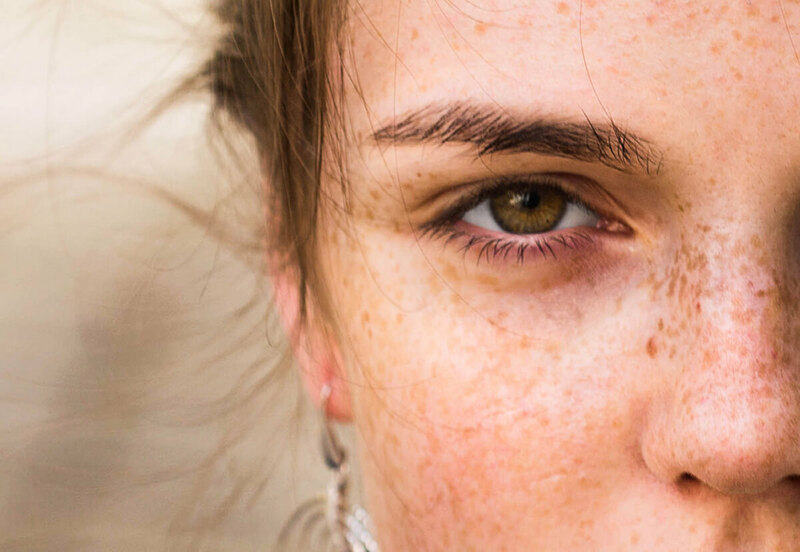 Read on to find out more about the causes of dark patches of pigmentation in skin and how some lifestyle changes can improve the problem. Physical injury to the skin can heal but can also leave dark marks. These include scratches, burns, pimples that have been squeezed, even repeated friction – where a repeated action on the same area on a daily basis year after year results in dark marks, such as thighs rubbing together or wearing a cap that rubs against the forehead day after day. Other physical trauma to the skin such as chemical burns, surgeries, laser resurfacing treatments and other types of trauma could also cause hyperpigmentation. Use Esse Repair Oil to reduce scarring and promote rapid healing. It also contains anti-oxidants to protect from free radical damage. If you do not like the idea of using oil, you can try Pure Papaya Renew Cream to improve the appearance of scars. Some medication, like Accutane could increase the skin’s sensitivity to sunlight, which leads to inflammation. Some other medication – including tetracycline antibiotics, certain cancer drugs etc., can also cause hyperpigmentation. If you’re prone to pigmentation, do some research. Always use sun protection, such as applying sunscreen, whenever you are out in the sun. Components such as fabric dyes, plant-derived irritants, and topical retinoids could trigger an inflammation. Do also avoid photosensitising ingredients in make-up, skincare and hair care products. Essential oils, such as lemon oil and bergamot oil, are known to be photosensitising. Avoid using these ingredients when you are out in the sun. When selecting a sunscreen, you should try to avoid chemical sunblocks that include toxic ingredients such as oxybenzone or avobenzone. Try our recommended sunscreen that uses zinc oxide instead of harmful chemicals. Imbalances in hormones is a leading cause. Melasma is the catchall term given to hormone-induced excess pigmentation. It can be caused by hormonal fluctuations, so it’s quite common when taking birth control hormones; it can also happen during pregnancy, when it is called pregnancy mask, butterfly mask or chloasma; and it’s common after the menopause, when the sun damage of your youth becomes visible as age spots. Vitamin C inhibits tyrosinase, which is an enzyme important in the production of melanin from tyrosine. While supplementation is recommended when there is a deficiency, we need to take care not to overdose. Use Esse Cream Mask, which contains high level vitamin C derivatives that inhibit tyrosinase. Treatment serums, such as emerginC Vitamin C Serum, Schaf Radiance and Firming Serum etc. are good Vitamin C booster. 100% Pure Multi-Vitamin + Antioxidants Potent PM Serum contains both Vitamin C and Retinol, which brightens, supports collagen and elastin production, lessens the appearance of lines and wrinkles, and promotes firmness in skin. Increase your essential fatty acid intake – either 15g per day of flax seed oil or 400 mg of long chain omega-3 fatty acids (DHA and EPA). Use in the evening Esse Omega Moisturisers, which contains Kigelia extract to help normalize pigmentation while its high omega content ensures that the skin is not deficient in omega oil. All other Esse Moisturisers also contains omega supplement, and you can use it as a daytime moisturiser. 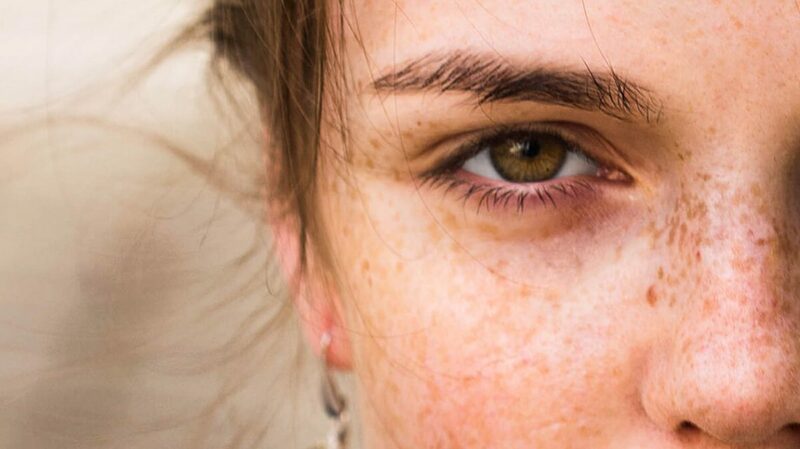 Freckles are largely determined by genetics. People with freckles are usually fair-skinned and possibly have red hair. Freckles occur when your skin produces melanin in clusters of cells rather than evenly throughout your skin. This results in the small areas of pigmentation on the skin that we call freckles. This kind of skin is very sensitive to UV light and prone to sunburn, as well as skin cancers, so sun protection is essential. The key to treating any kinds of pigmentation is early intervention. If you leave it and the melanin leaches into the dermis, it becomes known as dermal pigmentation. The deeper the pigment, the more difficult it is to treat. According to Dr Mervyn Patterson, a cosmetic doctor at Woodford Medical, the first steps to healthy skin are repairing your skin barrier and dampening down inflammation. *2 We recommend to use Esse Sensitive Serum and other products in the Esse Sensitive Range to repair your skin barrier and reduce inflammation in the first stage. At the second stage, dampen all pathways of inflammation by using World of Beauty DNADerm MMP Remedy Serum to strengthen skin defence system and at the same time make lifestyle changes to reduce free radicals. According to Dr Annalisa Gramellini, the CEO and Biologist of World of Beauty Italy*3, it is necessary to do detox before starting any treatment of the pigmentation. Lifestyle and diet changes are necessary. So, stop smoking, sleep early and re-evaluate your diet to reduce inflammation – move to a high fibre, low sugar, fresh food diet. Below are some of the skincare products, which we have tested and proven to work for pigmentation. To see best results, you may need to use a combination of a few products for up to 90 days. For more details, WhatsApp us at 9699 2538 to arrange an appointment with our wellness consultant, who will advise you on a skincare and lifestyle routine most suitable for your condition. Esse Ageless Serum – firms skin while effectively evens skin tone. Esse Eye Contour Cream – Bellis extract has strong lightening and evening properties. Esse Cream Mask – contains high level vitamin C derivatives that inhibit tyrosinase. Esse Repair Oil – reduces scarring and promotes rapid healing. Pure Papaya Renew Cream – improves the appearance of scars. emerginC Spot Lightening Gel – AHAs act as exfoliant to lighten uneven skin tone. World of Beauty DNADerm MMP Remedy Serum – reduces inflammation and dark spots. Strengthens skin defence system preventing skin disease caused by sun exposure. World of Beauty Jeunesse Recovery Gel – bitter almond natural acid and flowers’ extracts promotes even skin tone correction for demanding skin. World of Beauty Jeunesse Recovery Cream – reduces inflammation and evens skin tone. World of Beauty VDI Serum – effective detoxification and promotes radiant skin.